Iowa-born Bruce Meinert is a force to be reckoned with. 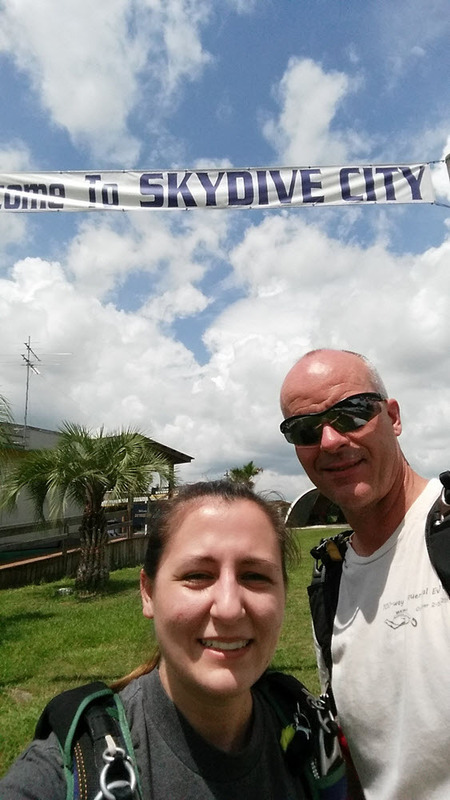 Bruce’s connection to Skydive Monroe started, quite literally, at the very first jump of his skydiving career. 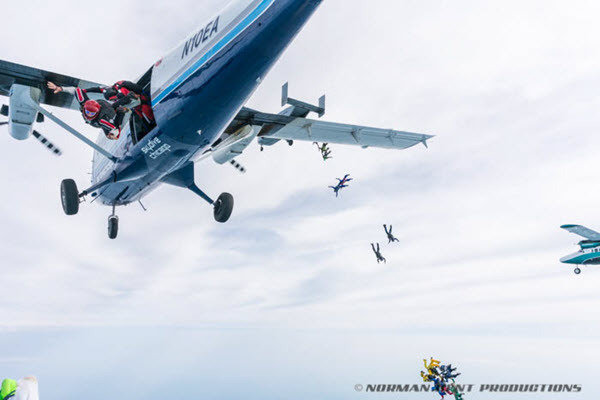 He made that jump at a dropzone south of Atlanta that no longer exists–but the current owner of Skydive Monroe was Bruce’s first jumpmaster. He had just moved from Iowa at the time, and skydiving joined a growing list of reasons for him to make his new home in the south. Soon after making the move, Bruce found skilled work painting cars for a body shop. One day, a coworker walked around the shop asking people who wanted to make a skydive. The guy really had a bee in his bonnet for it, as he had just done four years in the US Air Force and had received ground training but never had never made any jumps while he was in the military. Bruce was intrigued. He threw his hat in. Undeterred, Bruce went on his own. He did the class, made the jump, and hasn’t stopped jumping since. To Bruce’s knowledge, the other guy never did made a skydive. That was 29 years ago. “I’ve been at it for a while,” Bruce laughs. To date, Bruce has been a beloved fixture at Skydive Monroe for 17 years. In three decades of skydiving here, there and everywhere, it’s no wonder that there are plenty that stand out in Bruce’s memory. Bruce’s daughter is, by a very long shot, not his first student. In fact, he has been teaching AFF regularly since 1997. The philosophy of skydiving instruction that he has developed over those intense years of teaching is, quite literally, simple. He strives to make sure that he never overwhelms a student with unnecessary information. These days, Bruce is proud to be a full-time painter and part-time skydiver. That balance is just the way he likes it. As you might imagine, Bruce meets excited new jumpers every day who come to him with advice about their brand-new-and-blossoming skydiving careers. For these–and for you–Bruce is ready with a helpful word.